For years, Parks lived and worked in Bancroft Mills, a former textile mill on the Brandywine, which now houses condominiums and offices. While he worked, he often stood or sat beside the studio’s nearly floor-to-ceiling windows. “I’ve seen all sides of the Brandywine for all my life, and to have a building like this – where the wall goes right into the river – was something very special for me,” he mused in the documentary. Parks’ legacy is as much a part of the area’s heritage as the river he loved. Rooted in the Delaware area, he never wanted to frequent avant-garde European galleries. Nor did he seek a place in the celebrity-filled art scene in New York. He simply wanted to live near the water, quietly creating work that honored his subjects and touched people’s hearts. Yet, as Parks demonstrates, the figure can take many forms, from the mermaid caught in a happy plunge – two tails arched toward an imaginary surface – to the serene young girl perched on a sunflower. The versatile Parks made portrait busts, portrait figures, liturgical figures, state seals and animals. He worked with bronze, steel, plaster, fiberglass, wood, terra cotta and marble. Bronze, though, remained his favorite medium. To the gentle artist, the life-sized sculpture of a chubby-legged toddler was just as important as the more than 30-feet-tall, stainless steel Madonna. “There is a profundity in everybody,” he said. His job, he continued, was to “seek out and reveal that profundity.” His mission never waivered. 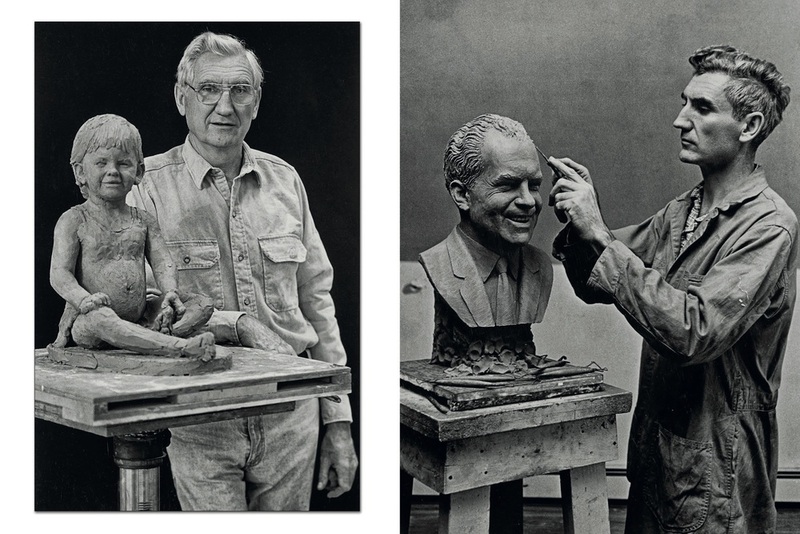 By the time of his death in 2012, he’d produced more than 500 figurative sculptures, many of which now stand in city squares, on college campuses, in front of corporate headquarters and in private homes. His legacy is prominent in the Brandywine Valley, which spans parts of southeastern Pennsylvania and northern Delaware, and in his home state, where there are at least 40 public sculptures by Parks. But his impact in the art world is international and enduring. Soaring more than 30 feet into the sky and shimmering in the sun, Charles Parks’ three statues of the Virgin Mary have a prominent place in his body of work. Indeed, Our Lady of Peace, Our Lady of the New Millennium and Our Lady Queen of Peace have garnered national and international press.